The Book: “The Blue Bottle” by Ray Bradbury. 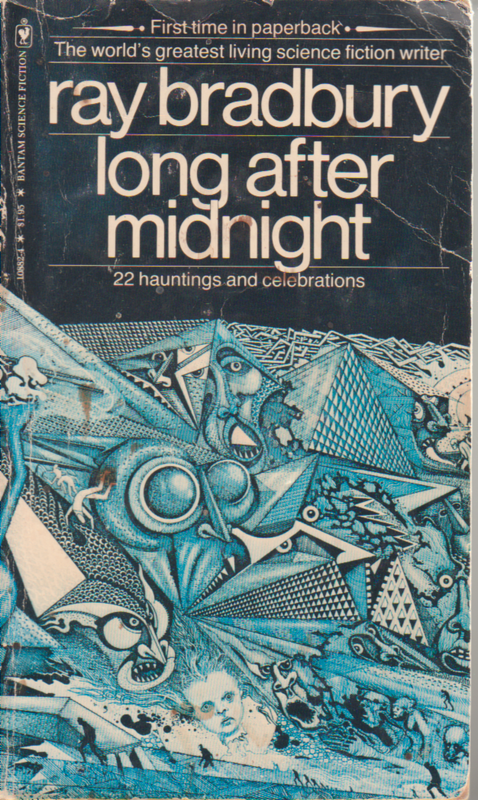 Originally published by Planet Stories in Fall 1950, the story was read in Long after Midnight published by Bantam in 1978. The Story: A man seeks for an ancient and mysterious blue bottle. The Science: I mean, it’s set on Mars, but it’s not really science fiction, it fantasy. A bottle that contains whatever you most desire? That’s fantasy. The Reaction: Even at only 12 pages, I felt ripped off by this story. It was kind of dull and simplistic. I wasn’t really feeling the characters and the magical blue bottle kind of annoyed me. Bah. The Cover: Still the same as before. I liked it solely for the ending. Has been a philosophy I’ve striven for all these years.